I'm from Durango I this place is part of our life. We always go to Honeyville when we are in Durango. Always buy for me & to use for gifts. Love the honey. Great jelly, brings back memories of hunting trips with friends. This is a staple for me. It's flavor is subtle and try really hard not to run out. Chokecherry Jelly is my favorite Jelly, along with your Raw Honey. Keep up the good work! We're counting on you! We love your jellies and the chockcherry is a favorite. When I was young, Grandma always made chokecherry jelly. 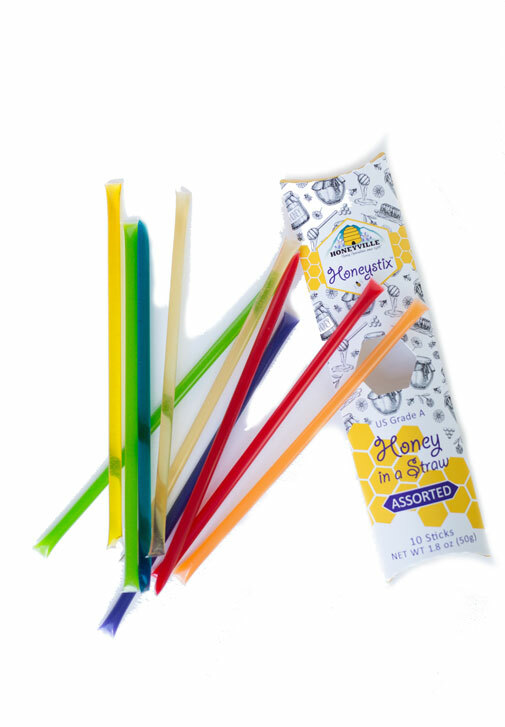 When I discovered it at Honeyville several years ago on a visit to Durango, I was thrilled! I've been ordering it since and love it! Well done. Reminded me of Home. Not watered down. A nostalgic flavor. My dad can't live with without his chokecheery jam. He'd 75 and the only thing that keeps him alive is the jam. 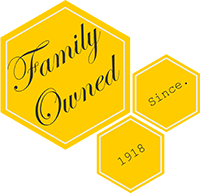 Growing up in Colorado, my Grandmothers homemade chokecherry jelly was my favorite kitchen staple. 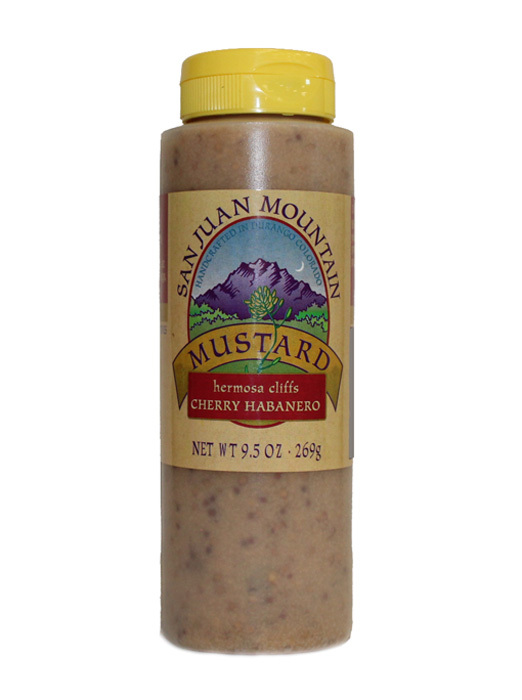 Soon after relocating to the Southeast, I discovered that many in the south are sadly unaware of this delicacy, and I was unable to locate at any local grocers or specialty markets. 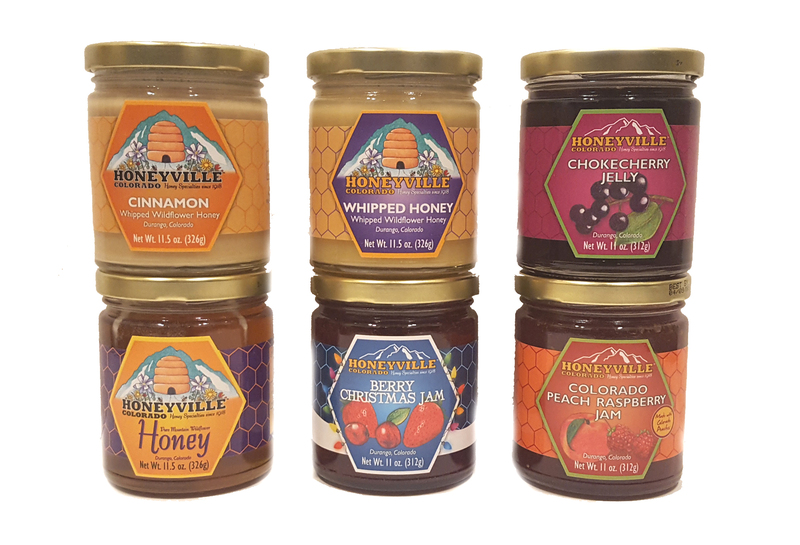 On a recent trip to Denver, I found a jar of Honeyville Chokecherry Jelly to bring back to Florida with me, and am happy to now be able to order as needed from the Honeyville Colorado web store. The Best Jelly and Honey Products Ever!! Love your Chokecherry Jelly, I was given gift pack and loved the mountain honey and the Chokecherry Jelly is the Best Jelly Ever...Really. So Thank You very much !! My grandson askedspecificallyt for Honeyville chokecherry jelly. The product was well packaged and arrived promptly during his visit. Great item but wanted the larger jars . As usual, we enjoy the jelly. My dad absolutely loves choke cherry jam...I purchased this for him for a gift a few years ago and it has become a yearly tradition. It's his favorite! Such a nice gift, too. I have been buying this for years for my husband's stocking stuffer. We visited a few years ago & got addicted to this jar of AWESOME! Definitely recommend. Fast shipping & GREAT product!